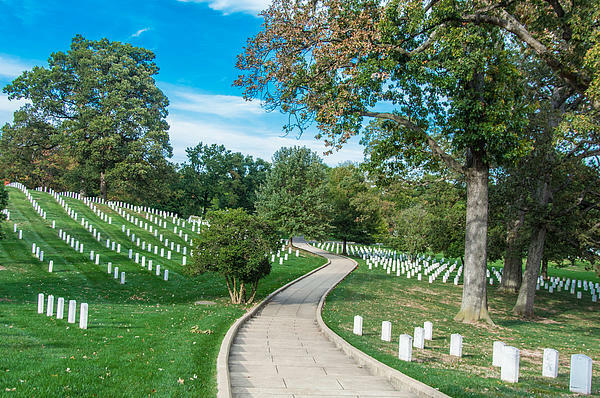 Arlington National Cemetery is a United States military cemetery in Arlington County, Virginia, across the Potomac River from Washington, D.C., beneath whose 624 acres (253 ha) have been laid casualties, and deceased veterans, of the nation's conflicts beginning with the American Civil War, as well as reinterred dead from earlier wars. 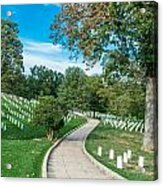 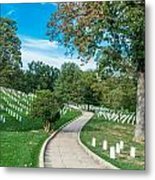 The cemetery was established during the Civil War on the grounds of Arlington House, which had been the estate of the family of Confederate general Robert E. Lee's wife Mary Anna (Custis) Lee (a great-granddaughter of Martha Washington). 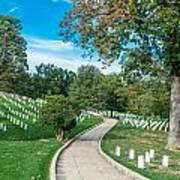 The cemetery, along with Arlington House, Memorial Drive, the Hemicycle, and the Arlington Memorial Bridge, form the Arlington National Cemetery Historic District, listed on the National Register of Historic Places in April 2014.